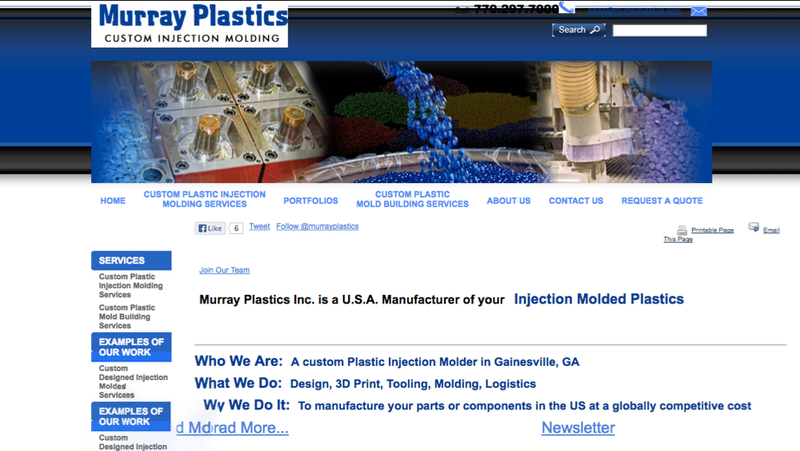 Murray Plastics is a U.S. custom injection mold builder and maker of plastic parts located in Gainesville, Georgia northeast of Atlanta. Murray Plastics designs products, builds tooling, manufactures parts, and performs a variety of secondary operations such as mold storage and maintenance for the molds they build. They had a tremendous story that needed to be told. Murray Plastics needed the same things that so many small and medium-sized businesses need: more traffic, leads, and customers. Like so many of our projects, we spent a good amount of time in strategy, diving deep into our own special process for buyer personas, presenting the right strategic plan, and using entrepreneurial ingenuity to execute effective marketing campaigns. 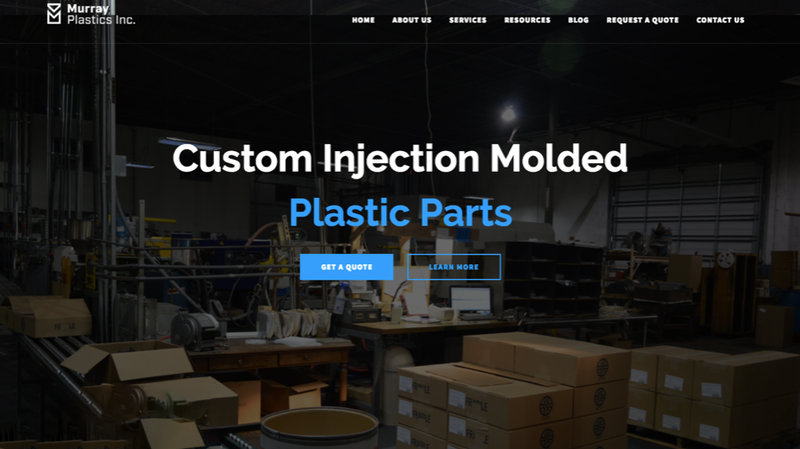 Murray Plastics needed a ground-up website redesign, development of all blog, email, and advertising assets, development of a new lead magnet, as well as search engine optimization. Channels included social, paid advertising, and email marketing automation. Most importantly, we were able to deliver on our word. In fact, it took only 6 months to go from nothing to the results in this case study. the overall digital marketing strategy resulted in 5X more leads. Not only does the new website look better, it's a machine for driving leads and new business online. The results are so dramatic because we didn't just launch the new website and leave it. We are continually working with this client to drive the business forward using digital marketing.